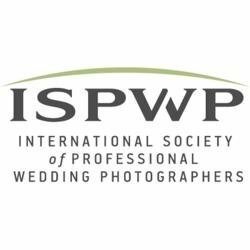 We are Diego and Liza, a husband and wife wedding photography team based in Toronto. Many people ask us how we ended up shooting weddings, and the answer is simple. We really love weddings, and not just capturing them, but planning and attending weddings as well! So much work goes into planning the perfect day, so many hours are spent making sure everything comes together, so much heart and soul. As newlyweds ourselves, we know exactly how difficult it can be and we want to help you make your experience as fun and as stress free as possible. Yep, We are on Instagram! Diego and I love adventures, and we try to make each photoshoot, be it an engagement shoot or a wedding, an adventure and experience each one of our couples never forgets. We would love to hear from you, and we would love to hear your story. As newly weds ourselves, we know how stressful wedding planning can be, so we would love to make your experience of choosing a photographer for your big day easy and enjoyable! Send us a message and let's chat! We cannot wait to be a part of your big day!